Foggy | 52 Week Photo Challenge with Some Pretty Creative Themes! It was a nice, sunny day at Marina Jacks until my new puppy, Benny, and my mom’s dog, Hunnie, and I all went to leave. 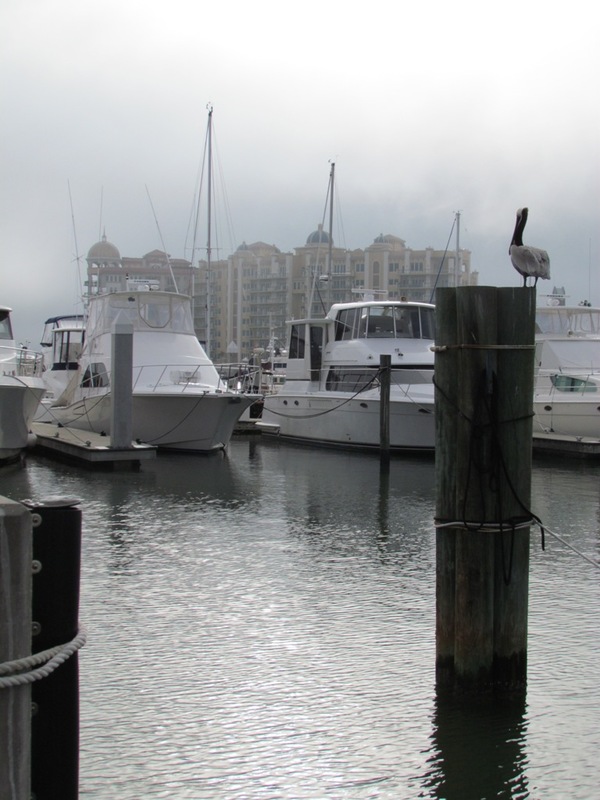 As we left the Sarasota Bayfront Park and walked through the marina, this fog came in pretty quickly. Nicely framed. Love the pelican.